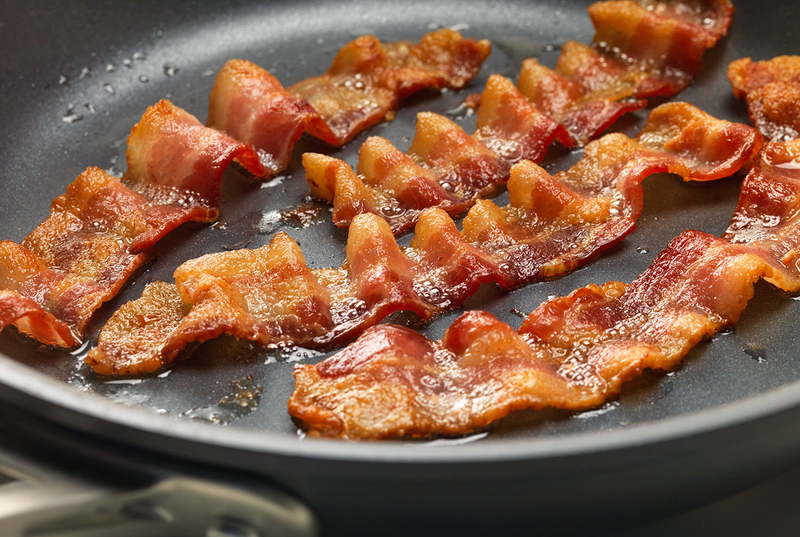 Scientists have recently discovered a protein in bacon that is linked to increased cognitive performance. The protein, called Secondary Carnitine Polypeptide (SCP), releases hormones that increase blood flow to the brain, thus improving transmission time between neurons and allowing for more neurons to fire simultaneously. The result is enhanced mental clarity in tasks focused on sequential reasoning and abstraction. To measure SCP’s effectiveness, Dr. Boaranski and his colleagues organized a blind cross-sectional longitudinal study of 240 students from a local college campus. Each student was assigned to a diet that included either two pounds of cooked crispy bacon meat a day or the caloric equivalent in other, SCP-“weak” foods such as tofu or turkey bacon. Another group was used as a control and received no change in their diet. The students then took weekly aptitude tests that measured their ability in areas of math, language and memory as well as cognitive reaction times. This discovery comes in the wake of the World Health Organization publishing a study last year that showed diets with large consumptions of red meats to be associated with an increase in cancer diagnoses. The next step is to isolate the protein into a powder for use as a nutritional supplement. This could help combat “lifter’s lurgy,” the post-workout fogginess bodybuilders experience while trying to add up the number of sets they’ve done, or be used as a pre-test stimulant for students. Dr. Boaraski says he has already received interest in pre-orders for the powder prior to development. Since the powder would fall under the category of a natural supplement, there would be no requirements to have the substance approved by the FDA, thus greatly accelerating the time it will take for the powder to be available in the retail market. For more information about the SCP Research Lab, please visit here.